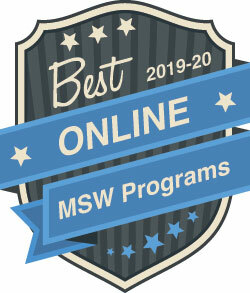 The UNE Online MSW program is a fully CSWE-accredited program. This program provides the flexibility to choose from three specializations when designing your educational course plan, to best meet your specific personal and professional goals. Courses are offered 100% online with timely, relevant content taught by dynamic faculty of practitioners, researchers, and educators. Traditional and Advanced Standing tracks are available in the online MSW. This course focuses on basic legal and ethical concepts as they apply to human services policies and practices with vulnerable populations. Students are introduced to: 1) historical overview of the relationship between law and practice; 2) issues pertaining to confidentiality, due process, and other common agency/ worker liability and malpractice issues; 3) legal regulation of practice; 4) case record keeping; and 5) preparing for and testifying in court. Must be enrolled in: Master of Social Work. (3 credits) *This course has been suspended and is not being offered at this time. This course examines the political environment of the policy process through several sets of lenses. It examines the motives of actors, institutional constraints and how these politics are altered at different stages of the policy process. It provides students with an understanding of the critical issues involved in policy making, and emphasizes the relationship between the legislative and executive branches of government, and how they interact with each other and the other external players in the policy process – most prominent being interest groups and the media. Many of the examples and theoretical developments presented in this course are drawn from an examination of the federal policy process, which is exclusively connected to the budgeting and resource allocation process. Must be enrolled in: Master of Social Work. (3 credits) *This course has been suspended and is not being offered at this time. The focus of the course will look at the challenges the Caribbean faces in improving the lives of their citizens given their current economic and social circumstances. 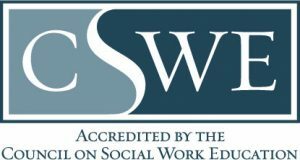 The course will identify numerous strategies and skills social workers have used to collaboratively build interventions within the social welfare, education, healthcare, and sustainable community development arenas. Coupled with these strategies will come an awareness of the similarity of social challenges faced by nations throughout the world. Among these are human rights, rapid and unplanned urbanization, war, poverty, housing, gender inequality, inability to care for the complex needs of children, racial and/or ethnic discrimination, and cultural conflicts. (3 credits) *This course has been suspended and is not being offered at this time. Measurement of student learning outcomes will be accomplished through a combination of exams, written papers, and authentic real-world projects.